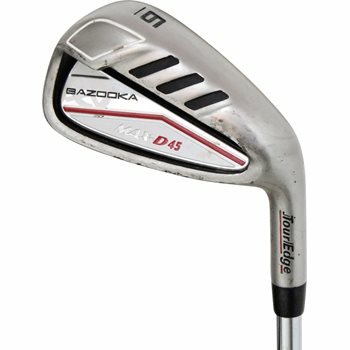 • 3-5 Irons feature longer blade length, taller face, wide sole width and wider top-line, more offset and less bounce than mid irons. • 6-7 Irons feature mid blade length, shorter face, mid sole width and thinner top-line, less offset and more bounce than long irons. • 8-LW Irons feature less offset, more bounce, shorter blade length and narrow sole width.